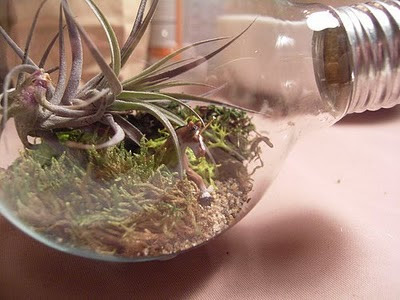 I featured the handy how-to guide from Instructables on making light bulb terrariums a while back. There has been a light bulb terrarium BOOM but I have found the ultimate example by Julie, featured guest blogger at thehipsterho.me. She has posted a wonderful step-by-step guide and the finished product is A+. Thanks for comment on my blog. Just looking at your first posts has given me even more ideas and taught me much more. I'll be certain to keep up with your posts for more! Love this idea! Even for my felt work, I will have to try it. Thanks for taking interest in my blog. Yours is definitely going on my view list for reference. Thanks and good bloggin'!